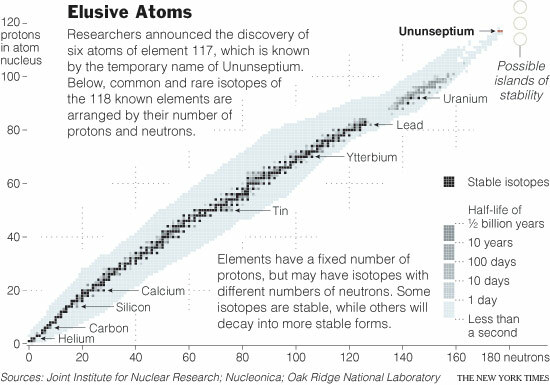 A nuclear chemist aims to create entirely new elements to add to the periodic table. Aired October 3, 2006 on PBS. Physicists working at the European Organization for Nuclear Research (CERN) in Geneva, Switzerland, have succeeded in trapping antihydrogen – the antimatter equivalent of the hydrogen atom – a milestone that could soon lead to experiments on a form of matter that disappeared mysteriously shortly after the birth of the universe 14 billion years ago. 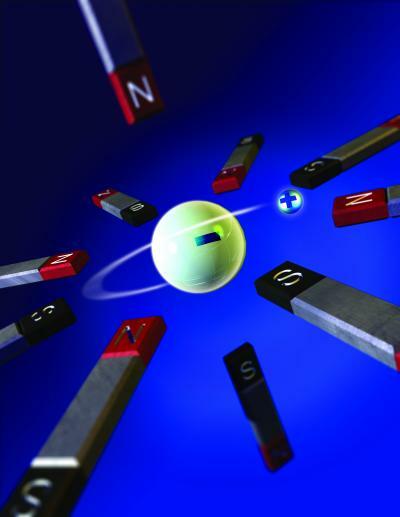 The first artificially produced low energy antihydrogen atoms – consisting of a positron, or antimatter electron, orbiting an antiproton nucleus – were created at CERN in 2002, but until now the atoms have struck normal matter and annihilated in a flash of gamma-rays within microseconds of creation. I.B.M. 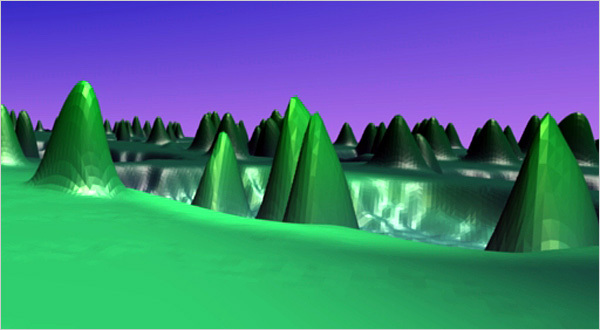 scientists have modified a scanning-tunneling microscope, making it possible to observe dynamic processes inside individual atoms on a time scale one million times faster than has previously been possible. Big news in the world of the periodic table: Element 117 (ununseptium) has been synthesized! The known periodic table is now complete with this heaviest halogen. Next up: ununnovium (119)?! The periodic table below has been updated to include the new element. Copyright© Dr. Casagrande. All rights reserved.